It’s always interesting to see what knowledge spews from the depths of my brain during lecture. Yesterday, while lecturing on cave paintings, I found myself telling the class about a theory I hadn’t thought about for years. 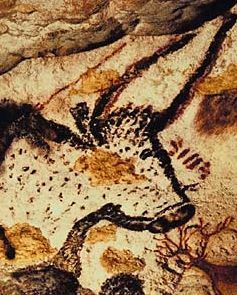 Back when I was an undergraduate, one of my professors explained a theory about why bulls were important to the prehistoric people (and they were obviously important, since bulls are depicted in so many prehistoric caves. 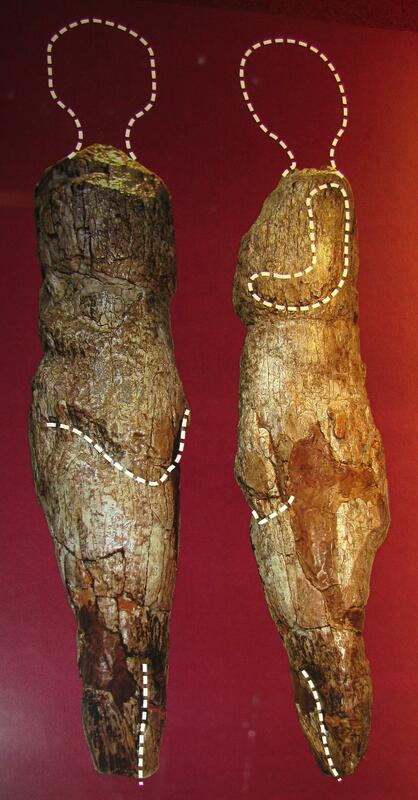 This example on the left comes from Lascaux Cave in France (c. 15,000 BCE)). The theory presented by my professor revolves around the St. Elmo’s Fire phenomenon. Basically, sometimes during electrical weather storms (i.e. storms with thunder and lightning), the tip of a bull’s horns can have a soft glow. 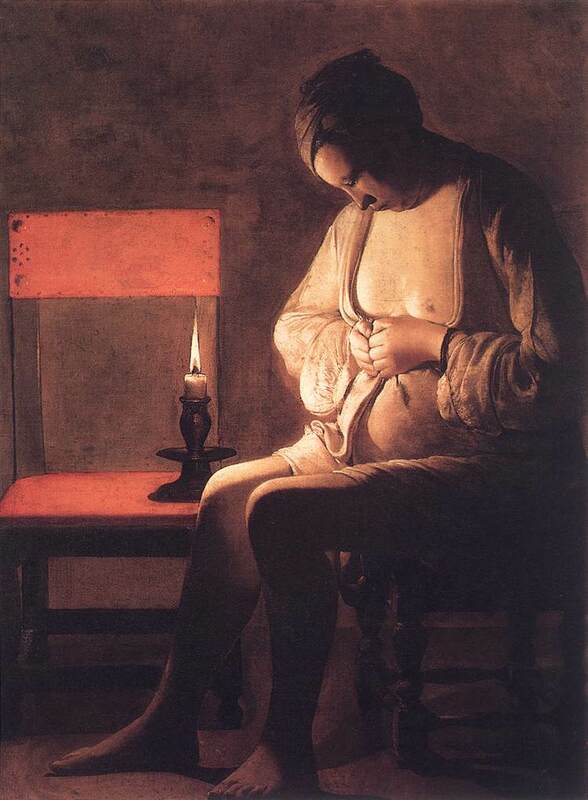 The glow often is accompanied with a hissing or crackling sound. It is thought that this phenomenon would have impressed prehistoric people, which may account for the supposed veneration of the bull. It could have been seen as a mystical creature with supernatural powers, since its horns had the ability to glow. 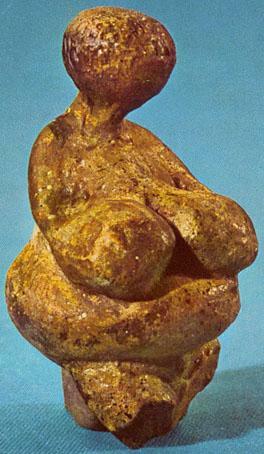 I guess it’s pretty obvious that I’ve been researching prehistoric female figurines lately, huh? 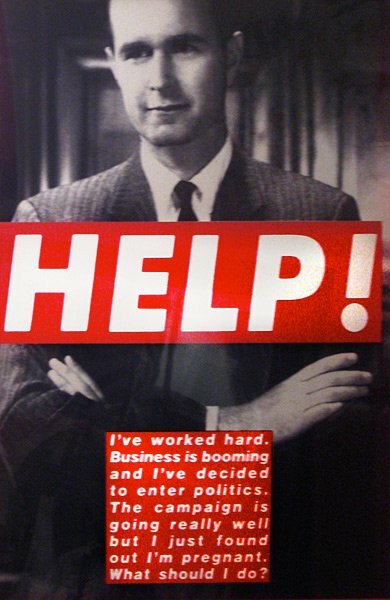 I promise this will be my last post on the subject, at least for a while! I just wanted to show everyone this cool Judy Chicago piece, Ceramic Goddess #3 (Study for Goddess Figurine on Fertile Goddess runner; 1977, shown above). Pretty fun, huh? It’s funky, playful shape makes me think that this could have been the prehistoric statuette from Lewis Carroll’s fictive “Wonderland.” Yep, that’s it: this is the Venus of Wonderland. 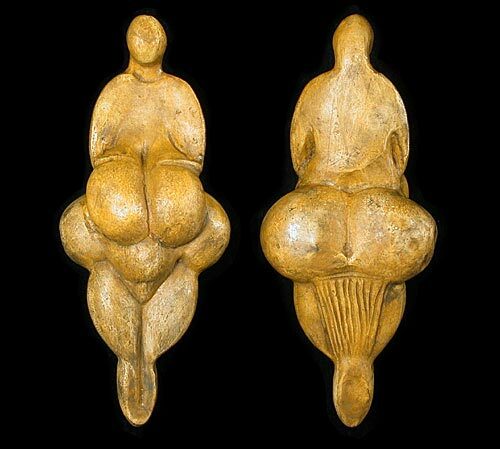 Anyhow, it’s neat to look at Chicago’s work and see how a 20th century feminist identified with the prehistoric figurines. 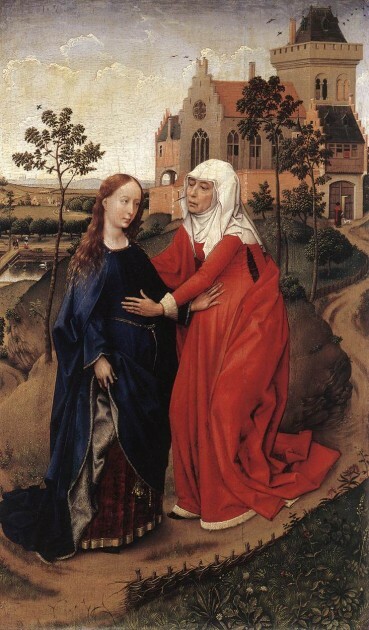 Although today some question the prehistoric “goddess” theory, it’s interesting to think about how feminist activists latched onto this subject matter in the 1970s and 1980s. (You may be familiar with Judy Chicago’s well-known feminist work, The Dinner Party (1974-79)). You can read more about this female figurine and Judy Chicago here. 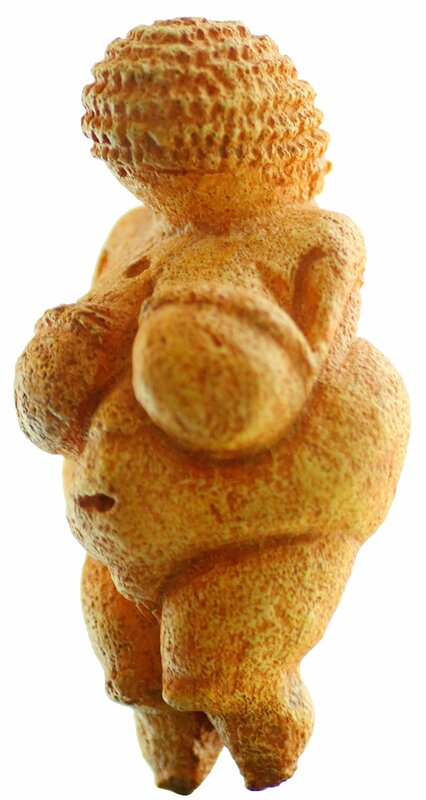 So many prehistoric statuettes are nicknamed “Venus” (the most popular being the “Venus of Willendorf“) that I’ve never given much thought to that title. 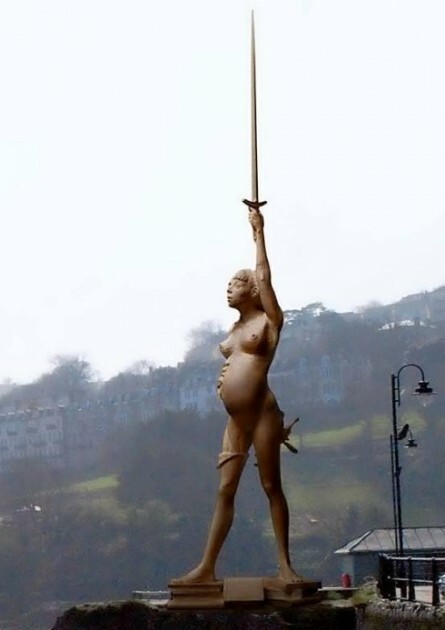 I guess that assumed that it was a cute reference to the fact that the statuettes were female. I recently learned, however, that the name “Venus” was first used as a tongue-in-cheek comment. 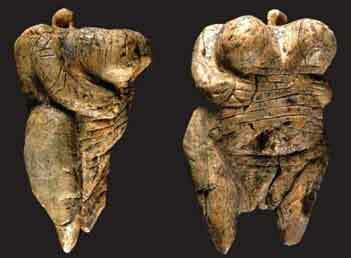 In 1864, the Marquis Paul de Vibraye wittily described a paleolithic ivory statuette of a female figure (shown right, c. 14,000 BC, from Laugerie-Basse, Vezerey in Dordogne) as a Venus impudique” (“immodest Venus”). 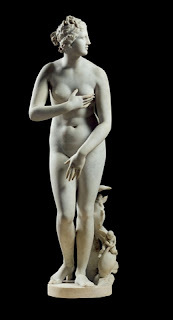 Paul de Vibraye chose the title “Venus impudique” to suggest that the prehistoric statuette makes no attempt to hide her sexuality, in contrast to the popular convention of the “Venus pudica” (modest Venus), which shows the goddess of love attempting to conceal her breasts and pubic area. There are many versions of the “Venus pudica,” most notably the Venus de Medici (shown left, 1st century B.C. 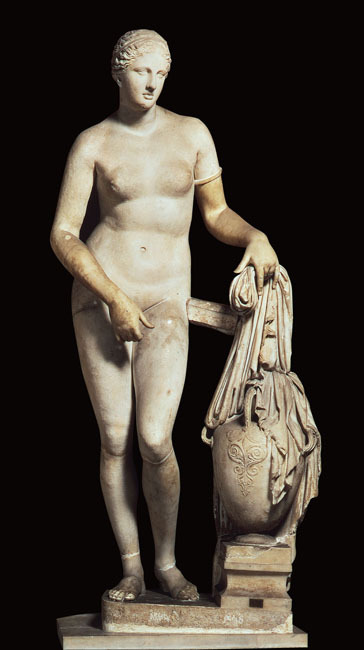 copy) and Praxiteles’ Venus of Knidos (original of c.350-340 BC). 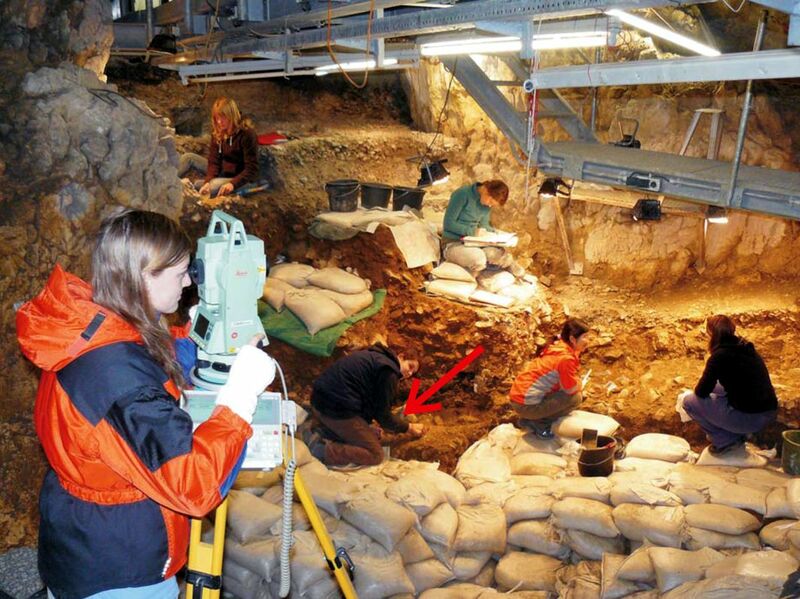 If you are interested, you can read more about the Venus pudica convention here, and see even more examples here. 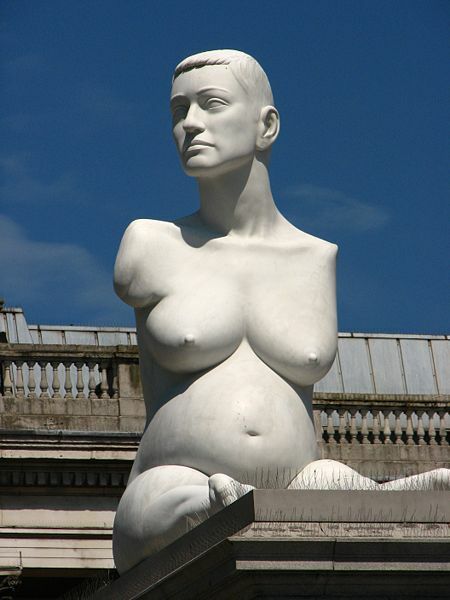 The “Venus” title encourages people to compare prehistoric art to the artistic standards and ideals that were upheld in Greek, Roman, and Renaissance art. 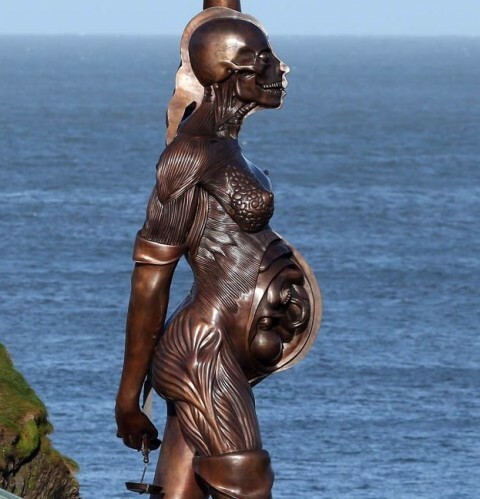 Since these artistic ideals were (and are) so highly valued in Western society, the “Venus” statues are judged by their factors of being “different” from these ideals (instead of being examined on their own terms). 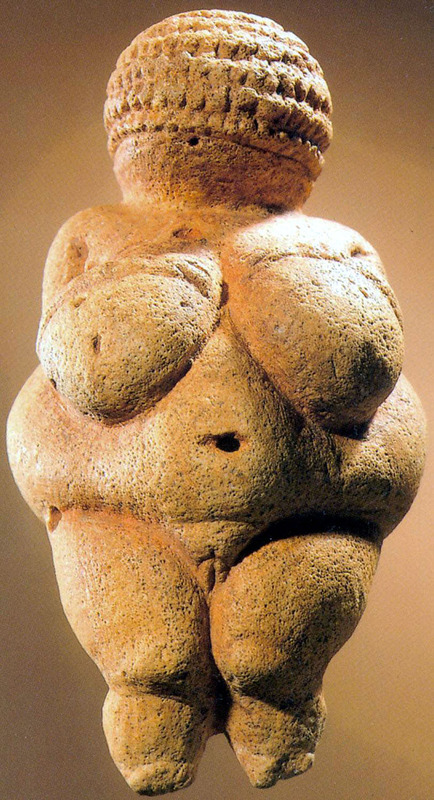 The term “Venus” also calls for a comparison between prehistoric and Greek culture. 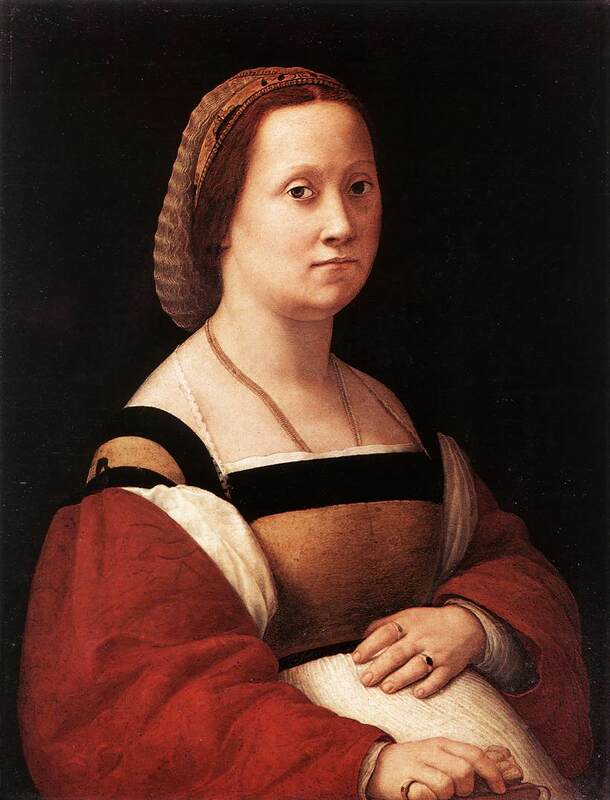 When such a comparison is made, the prehistoric art becomes more “primal” and sexually unrestrained, since the Greek art suggests self-awareness and “civilized” conventions of propriety. Obviously, such a comparison is dangerous, since it suggests certain things about prehistoric life which cannot be proven. Can you think of more reasons why “Venus” is a problematic nickname to use? 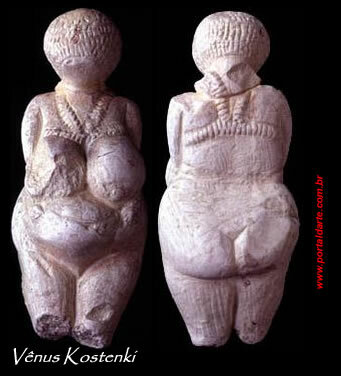 Do you have a favorite “Venus” statuette?